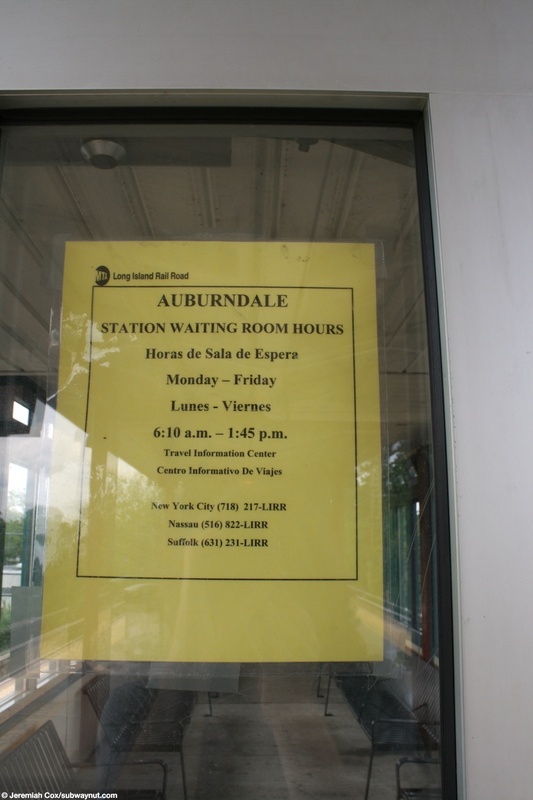 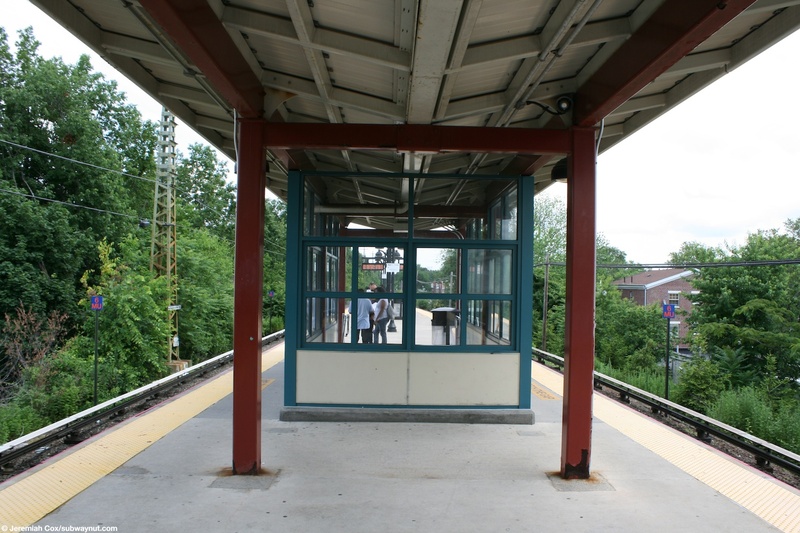 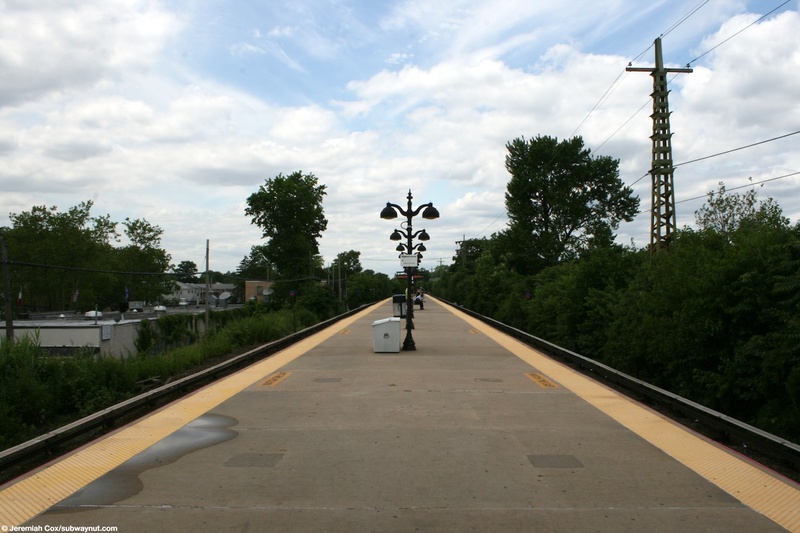 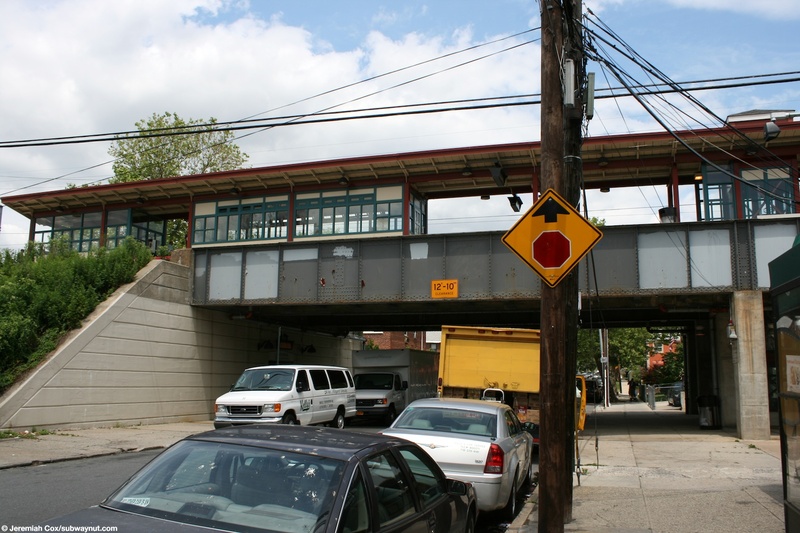 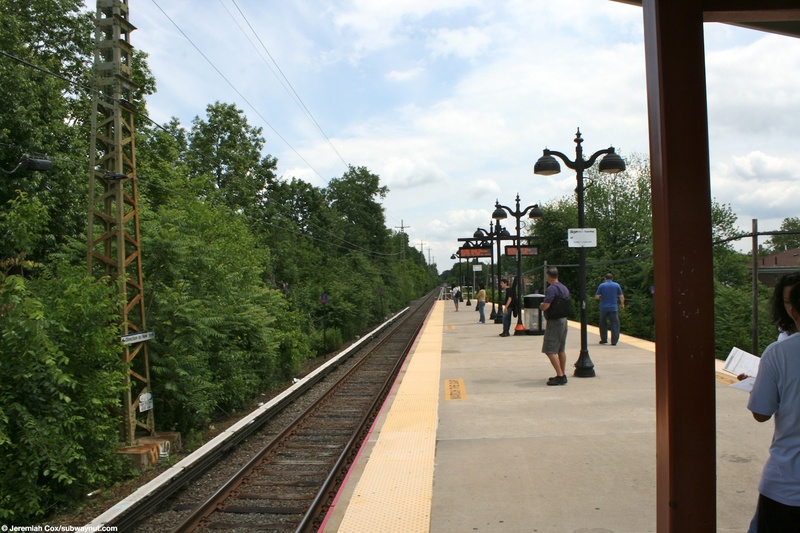 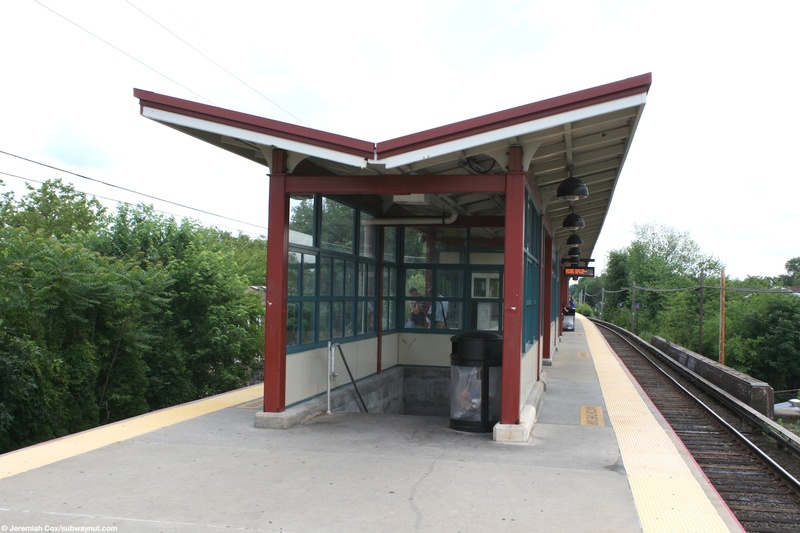 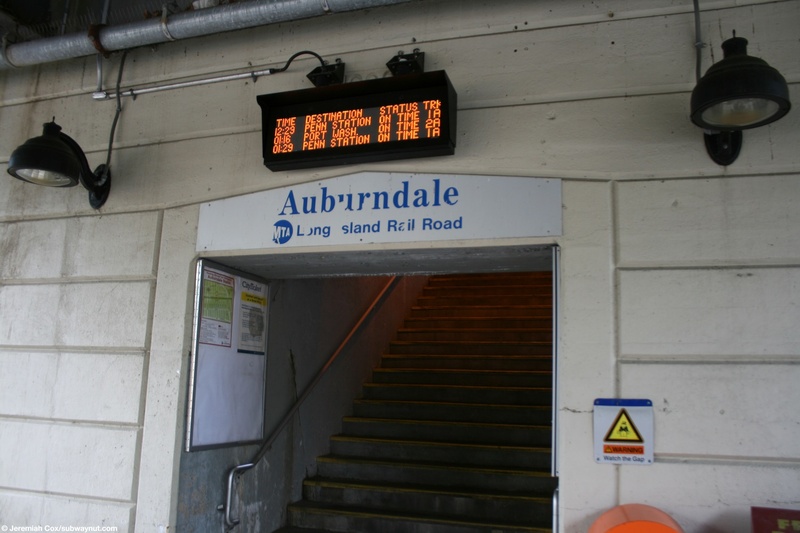 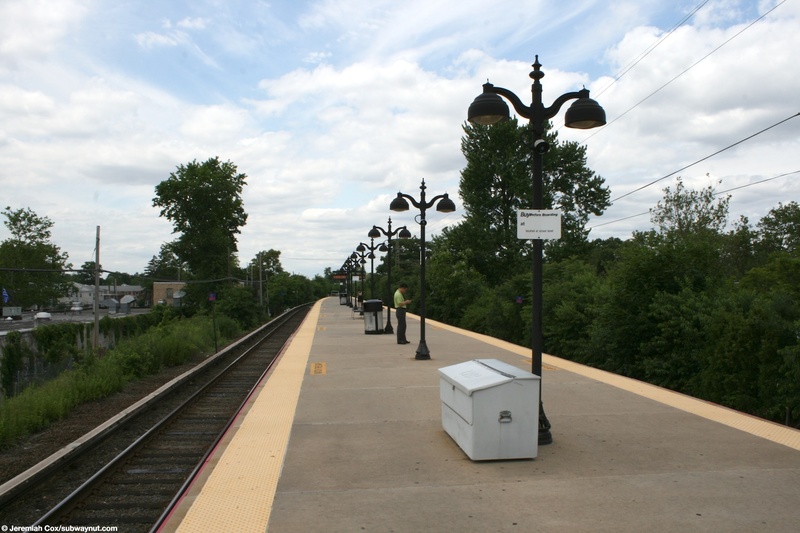 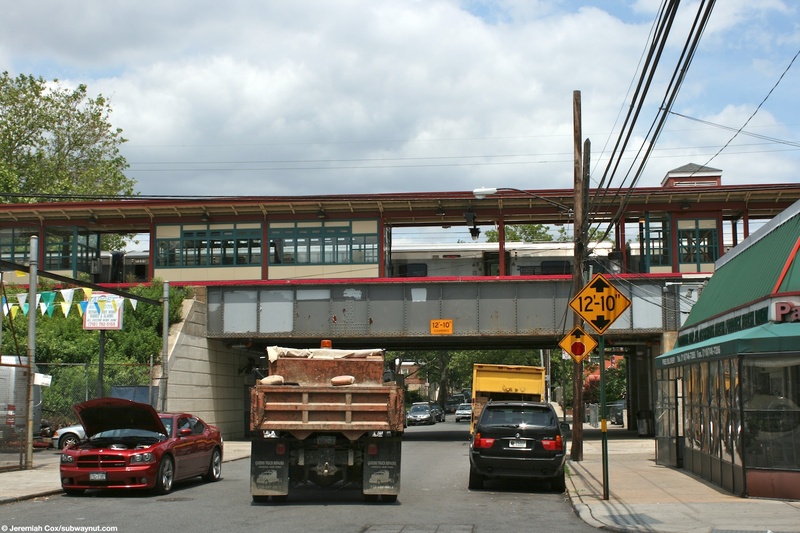 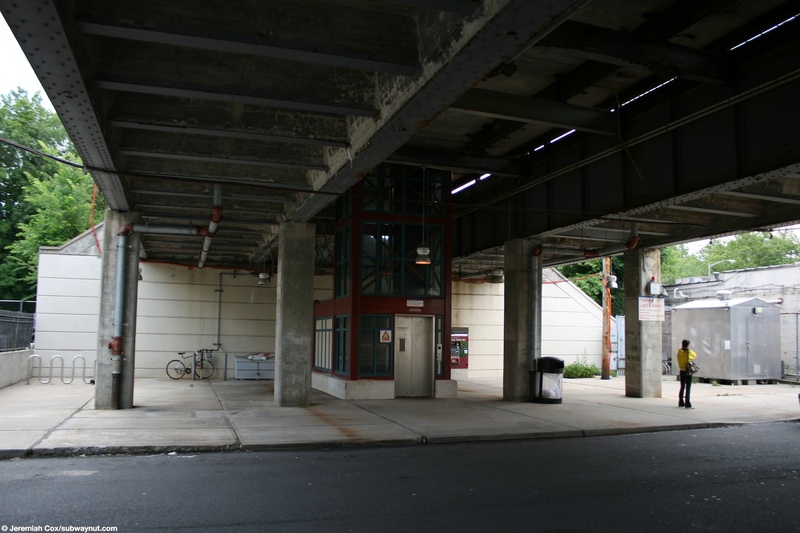 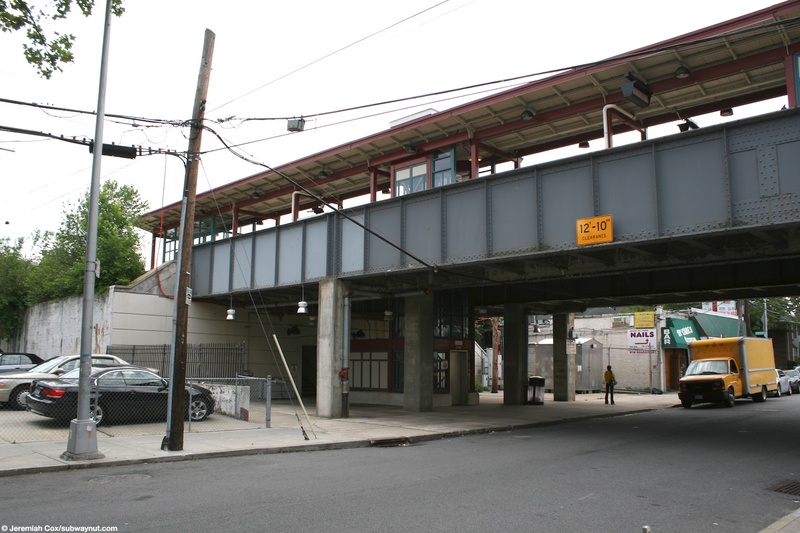 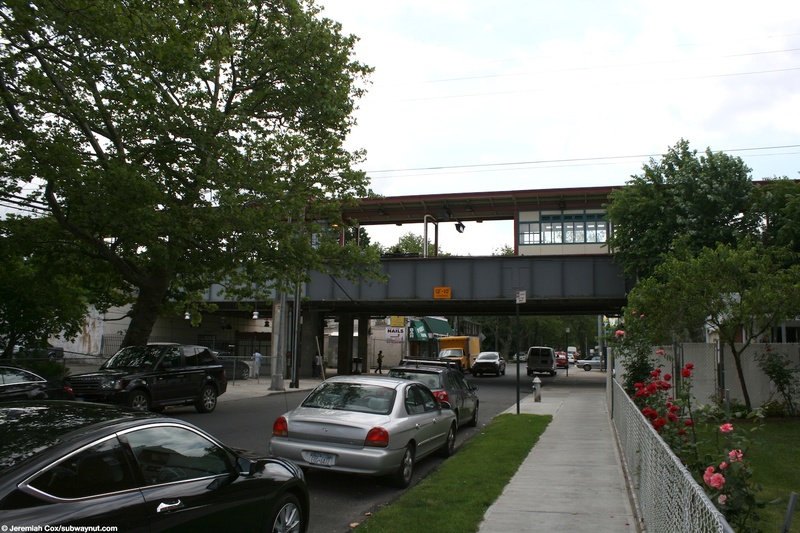 Auburndale is an island platformed Port Washington Line station located on an embankment on the overpass above 192 Street between 39th Avenue (north) and Station Road (south). 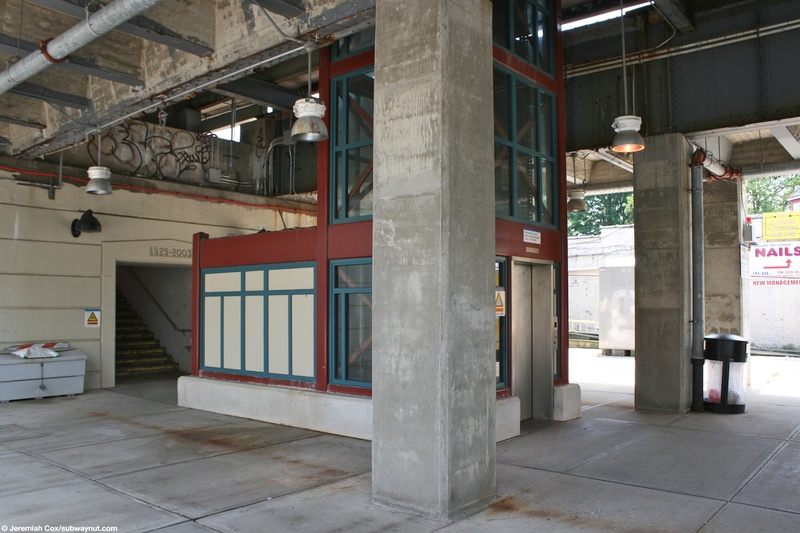 The stop is accessed from both sides of 192 Street (similar to so many on the embanked Babylon Line), with a staircase on the westside and an ADA elevator followed by a staircase on the eastside, the eastside sidewalk is also where the stations only TVM is. 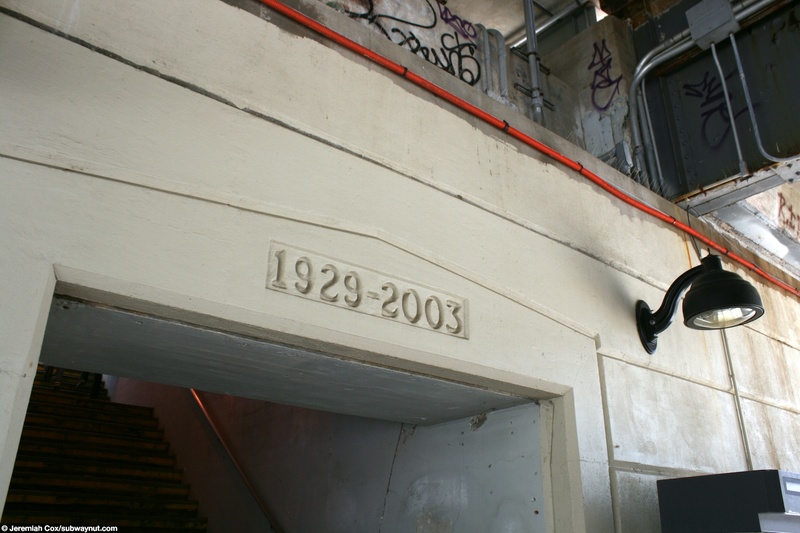 Above both staircases is text that reads 1929-2003, for 1929 when the embankment was built eliminating grade crossings, and 2003 when the station was renovated. 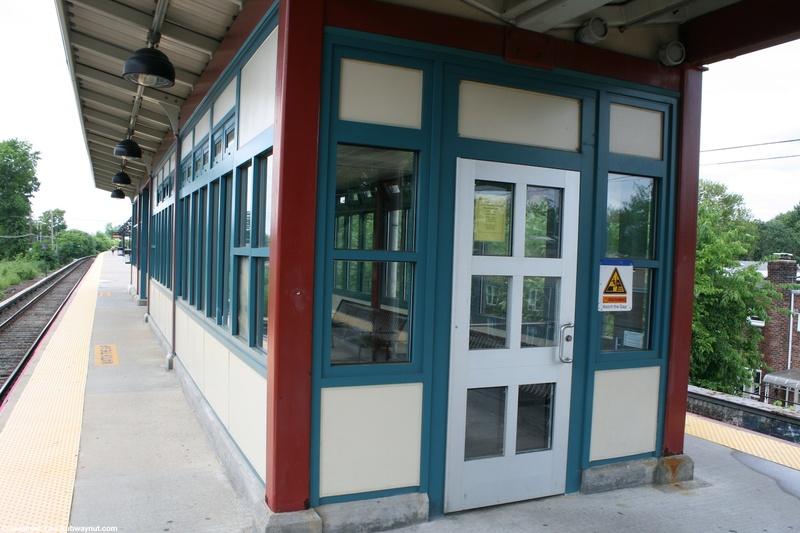 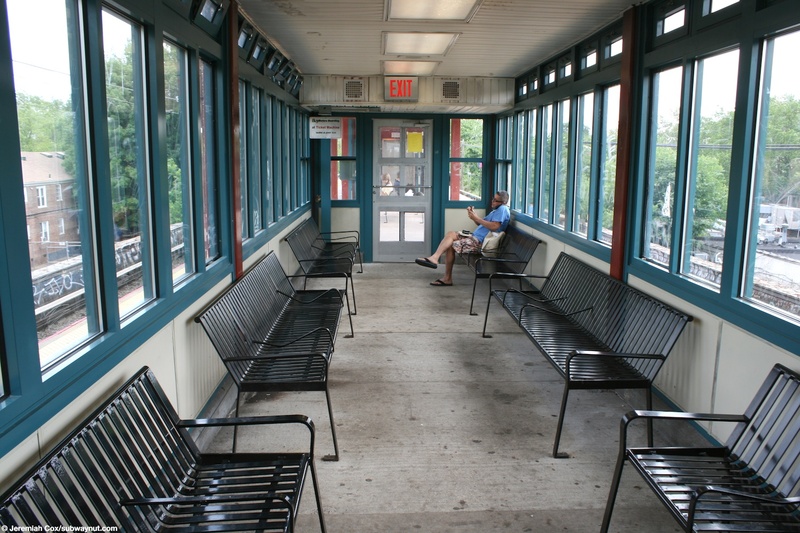 The portion of the platform between the two staircases is the only part that is canopied and within this section is a simple enclosed waiting area open from 6:10am to 1:45pm, Monday-Friday, this is a glassed in area with black benches and doors for entry at either end. 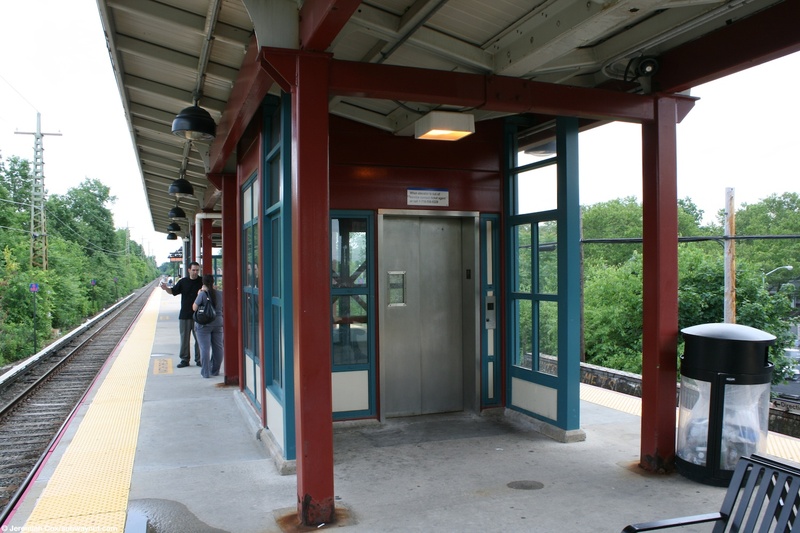 Red columns hold up the platform canopies and turquoise and cream is the color for the structures enclosing the staircases (at platform level) elevator and waiting area.